3/11 0:51 Great job Mamba for this theme : squad. 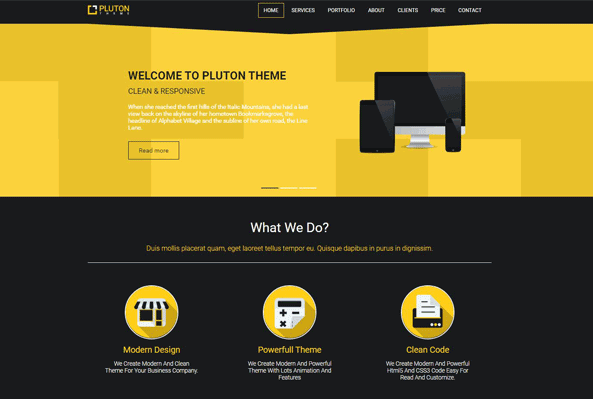 I need to see how you do it, i want to use this theme : Pluton. "All / Web / Photo / Identity"
3/14 14:14 Thank you for digging up into bootstrap themes direction. This way Xoops can add value on it's powerful core. Bootstrap based frontend and backend themes should ignite users imagination. If modules developers adopts their templates ... Xoops, with it's great engine, will be in top. 3/16 0:29 Yes, these are very good. 3/22 8:22 OK, nice ! I could work on this base !